I hope that everyone is having the most joyous holiday season ever and taking the time to remember to love yourself amid all of the chaos. Tomorrow is Christmas, two days later I am having a birthday (trying to ignore it), and then of course the New Year is quickly approaching. I am planning to spend all of them quietly at home. I have been battling an icky virus this last week, so hopefully some rest time will send it on its way. My two precious granddaughters Facetimed me yesterday morning and all of their excitement got me out of my chair to bake some yummy muffins. The smell in the house was wonderful and they are perfect for a snack with a cup of tea. 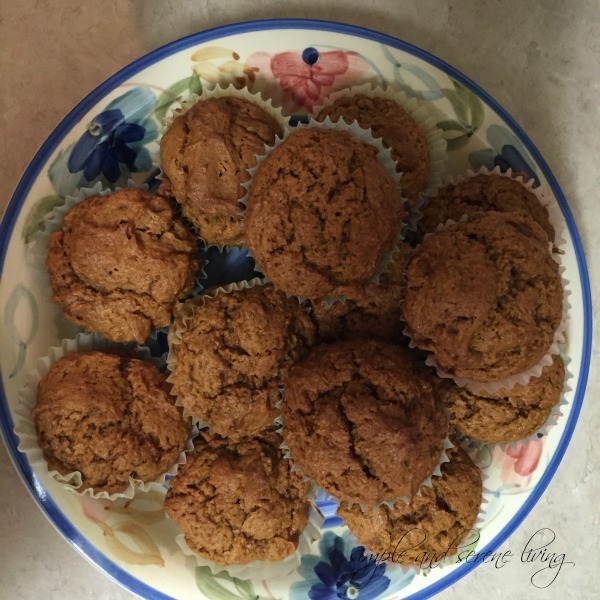 This was my first time baking these muffins and I did have to modify them to make them gluten free. I am never quite sure how changing a recipe so that it is gluten free will turn out, but this one was wonderful. 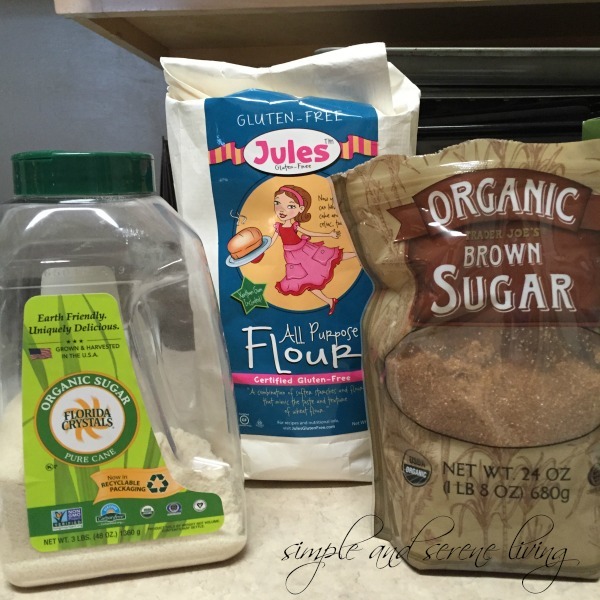 Here are some of the ingredients I used if you are interested in gluten free or want to use more organic ingredients. Pour the wet ingredients into the dry ingredients and stir together. Do not over mix, just stir until everything is incorporated into the batter. It is helpful to use a large scoop (like an ice cream scoop) to evenly distribute the batter into each well. They will be nearly full. This will help give your muffins a nice puffy dome. Bake your muffins for 20-22 minutes or until a toothpick inserted into the center of a muffin comes out clean. If your coconut oil is solid, warm it up a bit so that it is in liquid form. As you can see I made plenty just in case you dropped by. Oh wait, Mom is on her way over and she has a pretty healthy appetite when homemade muffins are involved. Gotta go. I need to find a good hiding place. I will be back after the holidays are over, and in the meantime I hope to visit everyone next week. 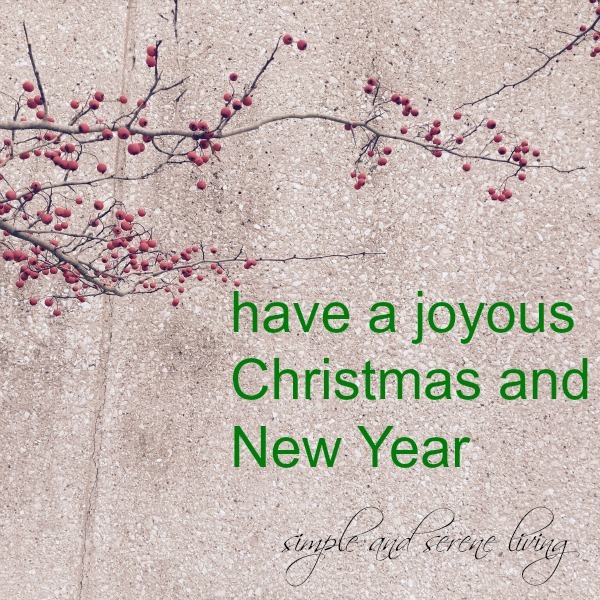 HOPE YOU FIND JOY THIS SEASON!! I wish for you a calm restful Merry Christmas,, your muffins look delicious!! Yum on the muffins. Hope you start to feel better. Merry Christmas Laura. Hugs. I hope you had a nice Christmas today. Sorry that you've been sick. Hope you have a nice birthday in a couple of days too! This is certainly a festive time of year for you. 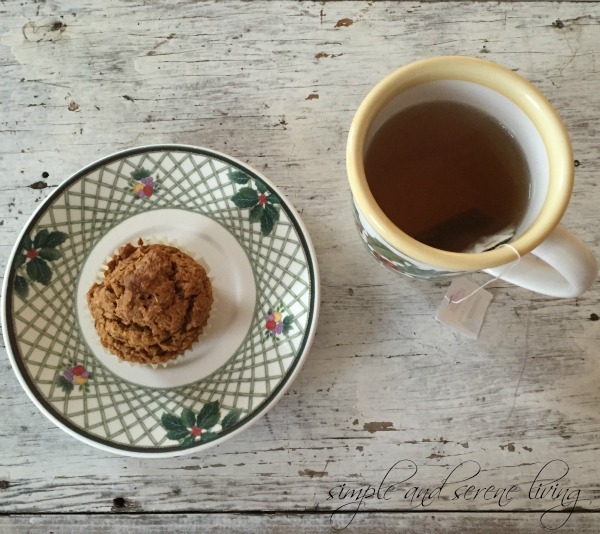 Thanks for sharing the muffin recipe. It looks yummy. Merry Christmas and Happy Birthday! Feel better soon! I hope you had a wonderful Christmas and are feeling better! Hope you had a nice Christmas. Hoping as well that you are feeling better. I hope you had a wonderful Christmas and Birthday and are feeling better quickly!